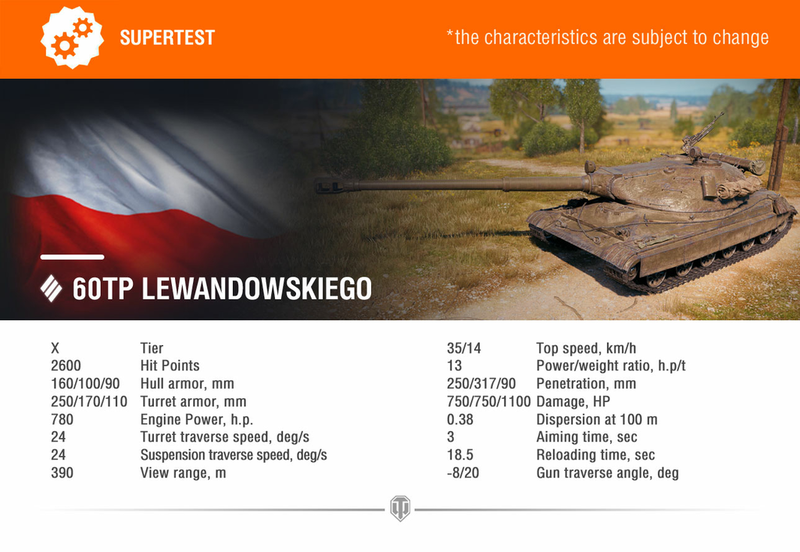 World of Tanks Supertest will receive two new vehicles today: 50TP Tyszkiewicza and 60TP Lewandowskiego. 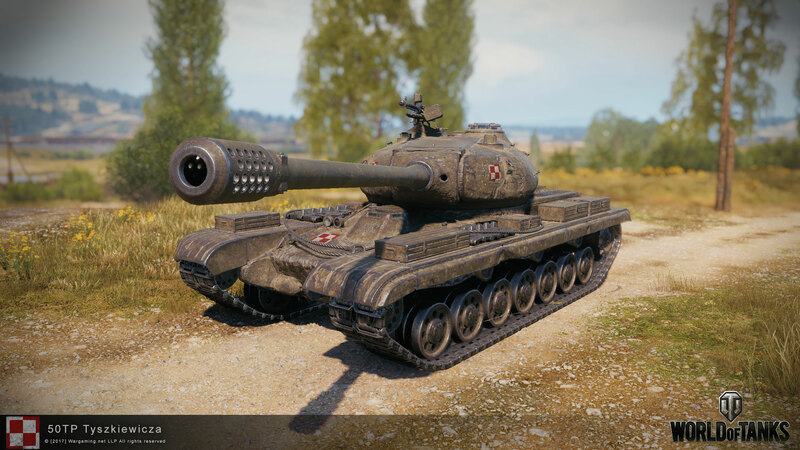 The Polish heavy tanks are coming and they bring a lot of armour and promise to deliver a big punch with their guns! 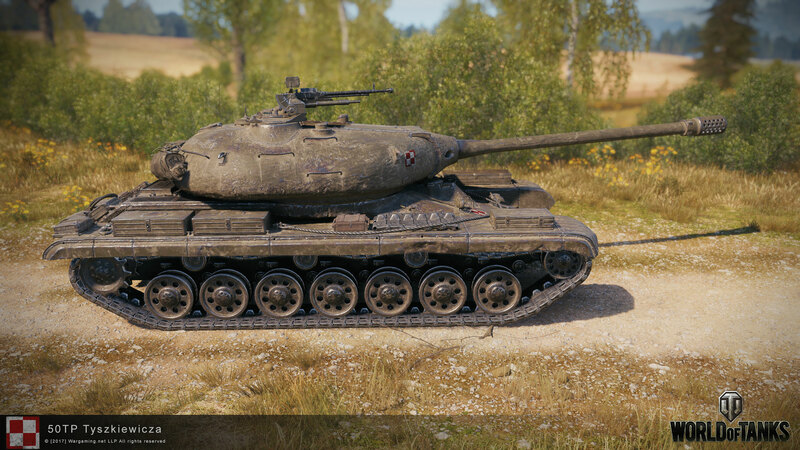 These can be heavy tanks, but don’t let this fool you as they are very compact for their class, with amazing armour and above the average alpha. 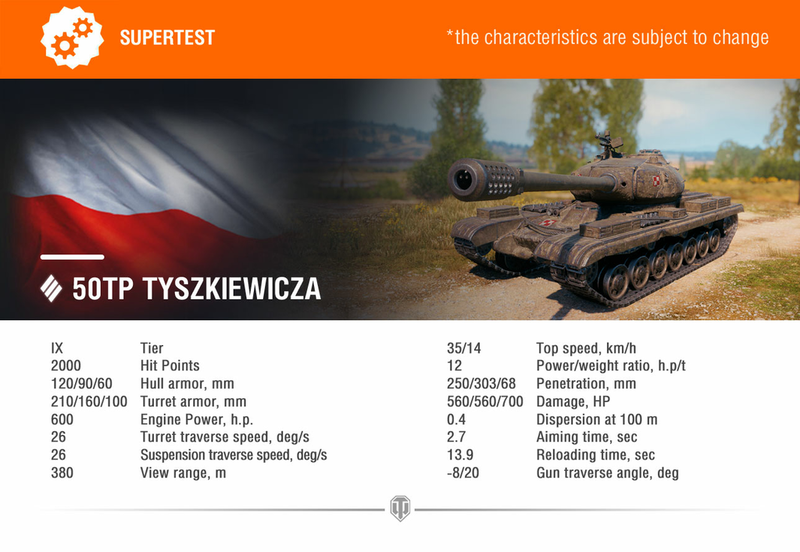 The 50TP Tyszkiewicza is not fast but is well armoured in all places and with an alpha that is expected from a heavy tank. 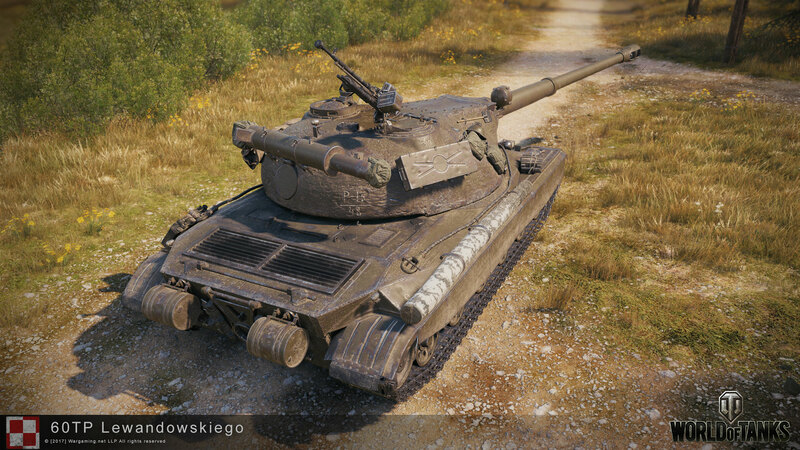 Its 130mm gun will deal around 560 points of damage, something of different and unique to the Polish tanks. 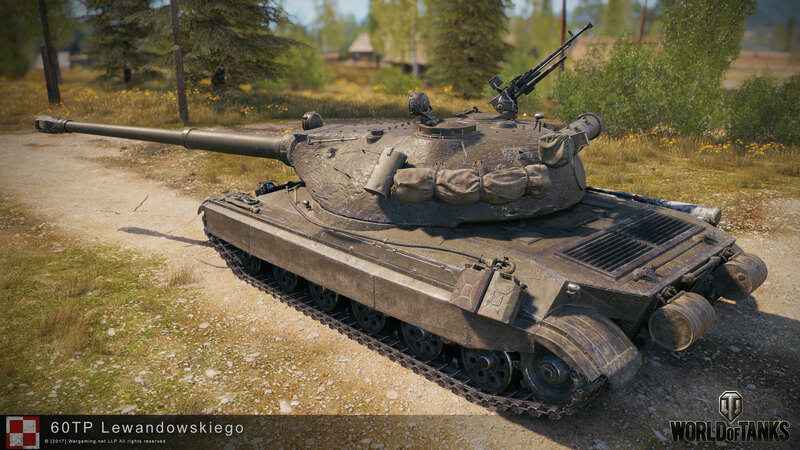 As the 50TP Tyszkiewicza is a Tier IX vehicle, its mobility and protection parameters are lower than those of the 60TP Lewandowskiego. 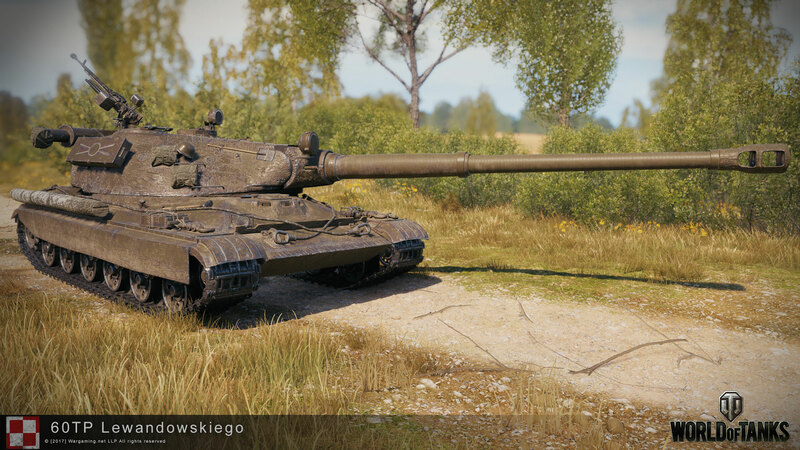 60TP Lewandowskiego will be at the top of the Polish tree, it has great all-around armor and a large caliber gun dealing 750 points of alpha damage, Wargaming implemented both 130mm and 152mm versions and will choose between them later. 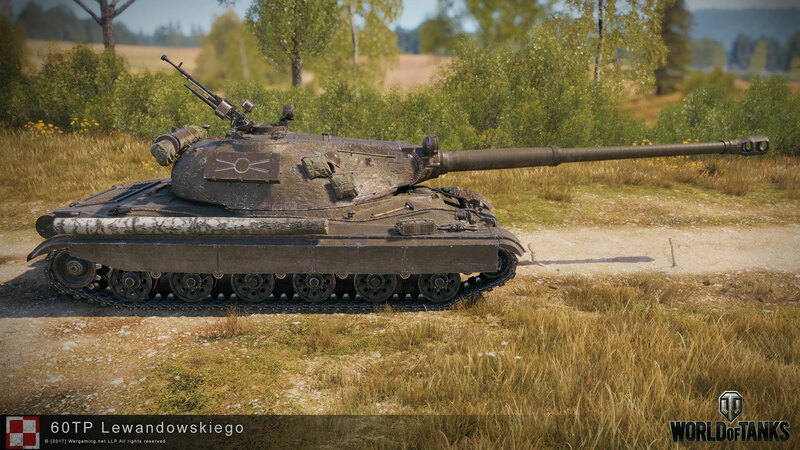 The drawbacks are mediocre penetration and limited mobility, as it’s predecessors. 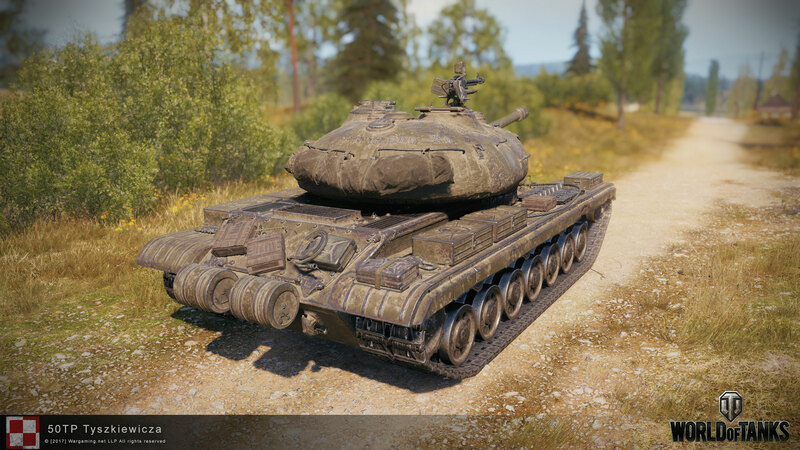 This tank will play as a compact ‘superheavy’ slowly pushing through enemy defense thanks to its ability to block lots of damage, and its high alpha. 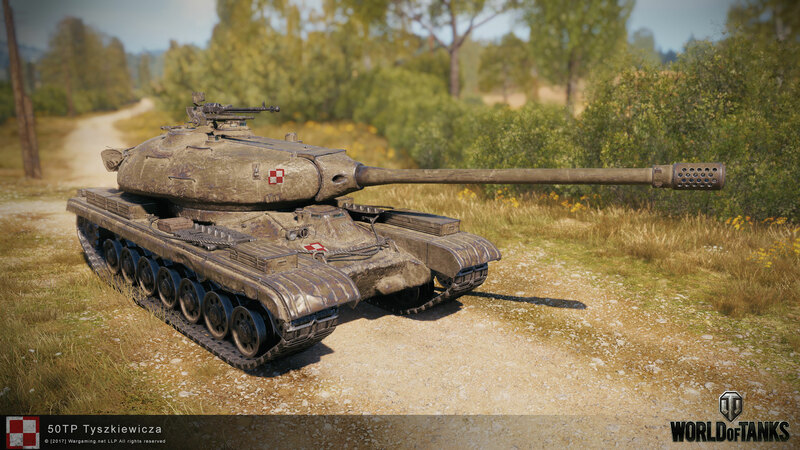 The current stats for the top Polish heavies are mostly reference marks spelling out the gameplay role, yet they allow for very comfortable play. 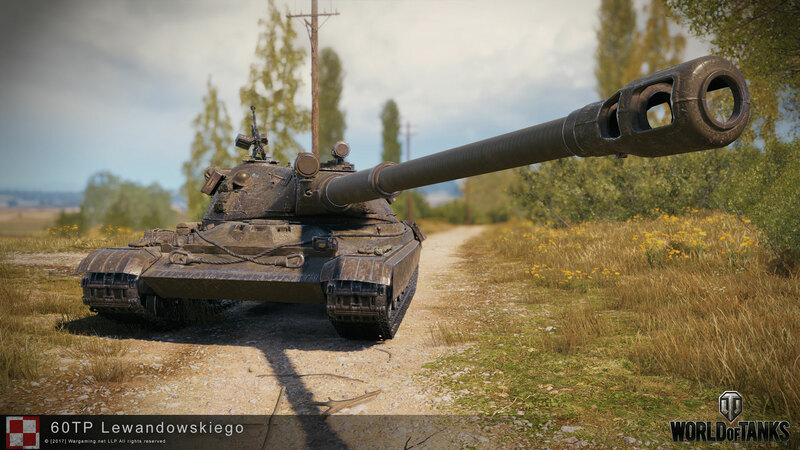 Wargaming is going to try different values for alpha and also for mobility and targeting parameters. 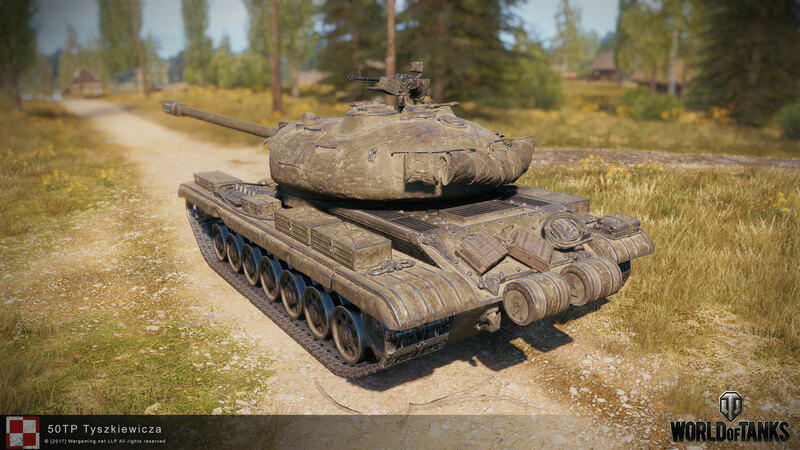 they look like abominations of IS 3, with gameplay similar to E 100. 1100 HE shell with 90 pen and 3.25 RoF…. Why are you surprised? It’s not like they’re Russian. Furthermore, they’re Polish! 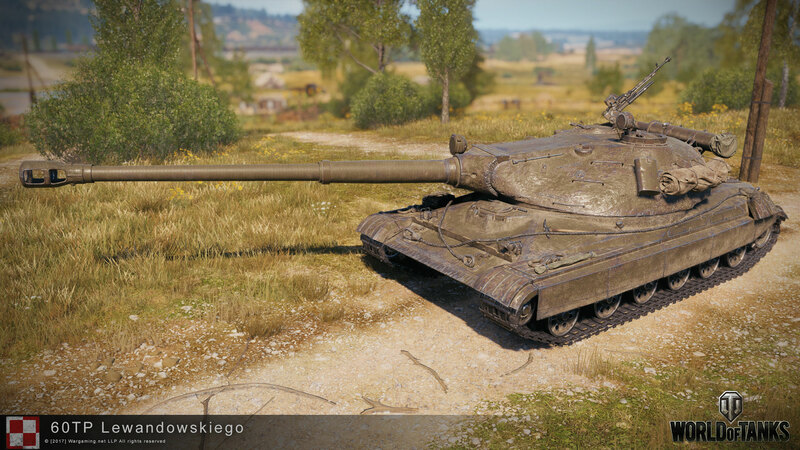 That tier 10 has angled armor not flat 250 armor you have to remember that when looking at the soft stats. 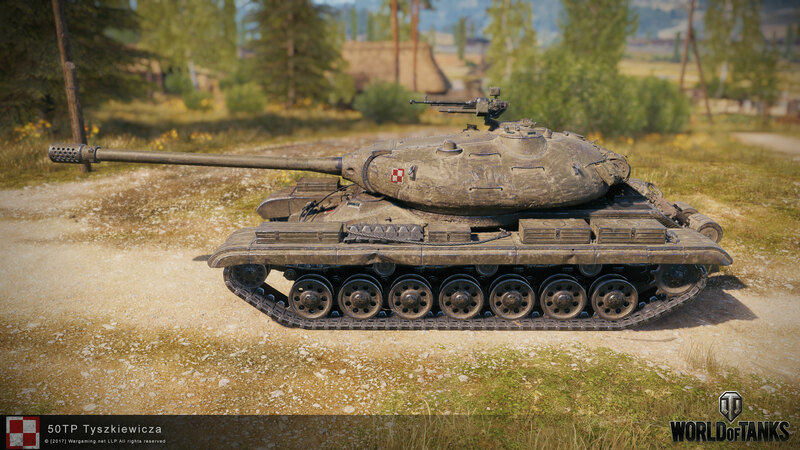 Another reason why not to play the E-100 anymore.